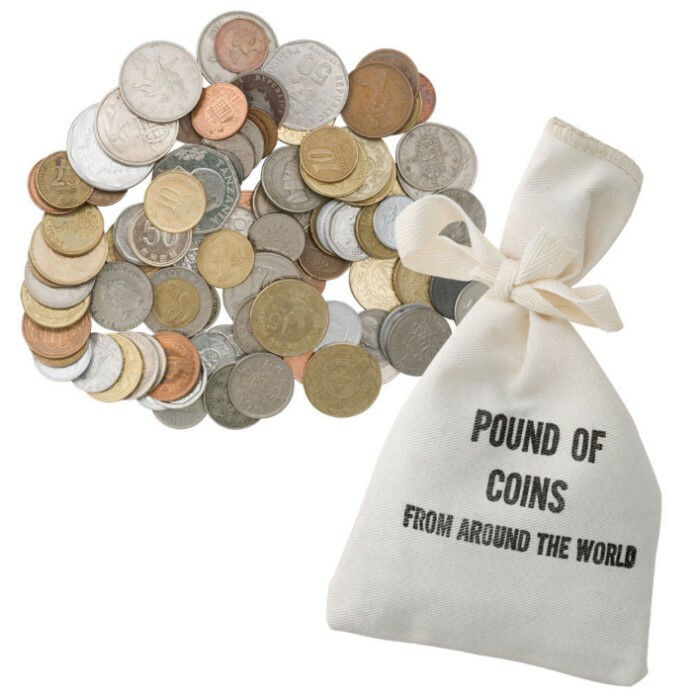 Around The World Pound of Coins Grab Bag | BUDK.com - Knives & Swords At The Lowest Prices! 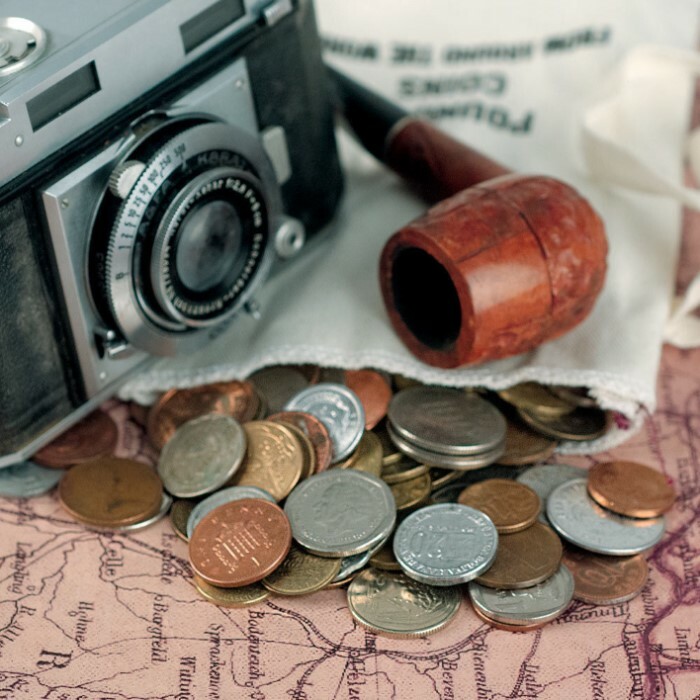 Travel the world through a banker's bag of currency. This 1-lb bag of coins contains currency from around the world in many different denominations and mint years. Great gift for coin collectors or as a learning tool for kids! This is a great mix of world wide coins. I’m glad I got it. This for all of those who have ordered this 1lb coin bag collection. If you shop around please let us know who can beat BUDK variety for the price? I haven't and I'm still buying from the best; from BUDK. If I find that million dollar coin I going to go in business with BUDK and make this even a better deals for coin collectors. Lets keep the fun in coin collecting and as my favorite Marine might have said, "Gaaaaalllly Sargent, who would of known BUDK be so good to customers". this is a great item to buy for yourself or to give as a gift. i wanted to add more foreign coins to my collection and i figured this would be a great way to do it. i have bought three bags so far. each bag has a neat discovery inside. in the second bag i bought i got a 1945 world war 2 canada nickel and in the bag i recently received i got a 1960s british large cent, a 1 cent coin from great britain slightly larger than an american half dollar. i look forward to ordering another bag again and would recommend this to anyone wanting to start a coin collection or add to an existing collection. even includes some center hole world coins and also some bi-metal coins. I got these as a gift for someone and she absolutely loved them. 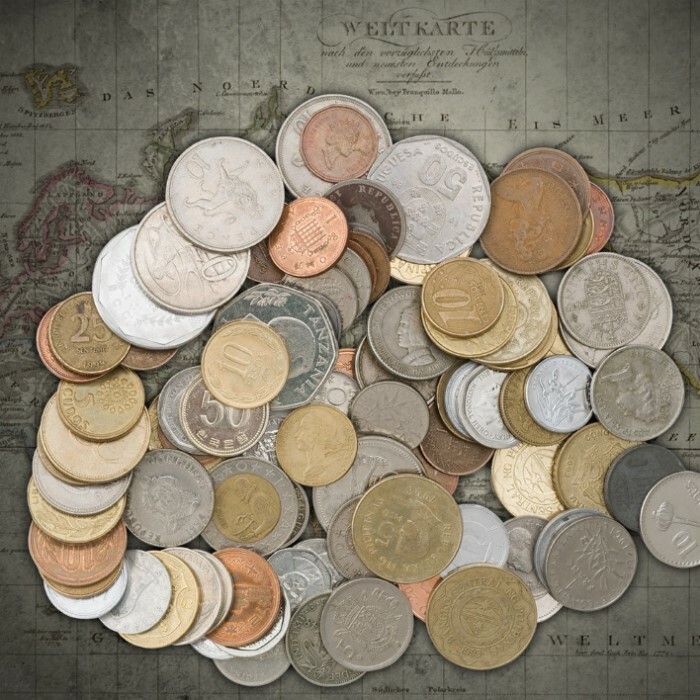 There is a great variety and a wide range in dates of the coins. Very cool! Very happy, The coins where very interesting. a good buy for any one who like's old and out of print coins. Gave to my 7 year old grandson as a Birthday Present. He absolutely loves them. He and I sat side by side looking at all of them. What great memories!!! A very nice selection of coins. Though as predicted there were a small amount of copies. A good amount of coins for a solid price. I do plan on buying another bag soon.